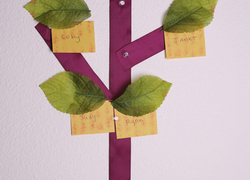 These Thanksgiving place cards are a fun turkey-twist on traditional place markers. 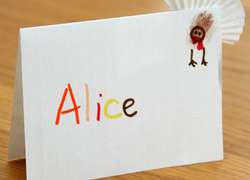 Make a set of these Thanksgiving place cards with your child this November. This fun and easy project is the perfect way to help your first grader remember who's who, practice her handwriting, and help decorate for Thanksgiving. Here's a hilarious alternative to those sugary conversation hearts...and a way to keep building first grade literacy skills while you're at it!